They are dramatically quieter, safer, more affordable and more environmentally-friendly than conventional aircraft or helicopters. They are scheduled for demonstration flights by 2020. Academics and students from Coventry University’s Institute for Future Transport and Cities (FTC) have examined the safety of some of the models being designed as part of the Uber project. They identified and analysed potential hazards of the aircraft, such as motor or structural failure, fire risks and battery problems. They worked with their counterparts from Georgia Tech University, in Atlanta, USA and presented their “positive findings” at the 2018 Uber Elevate Summit. 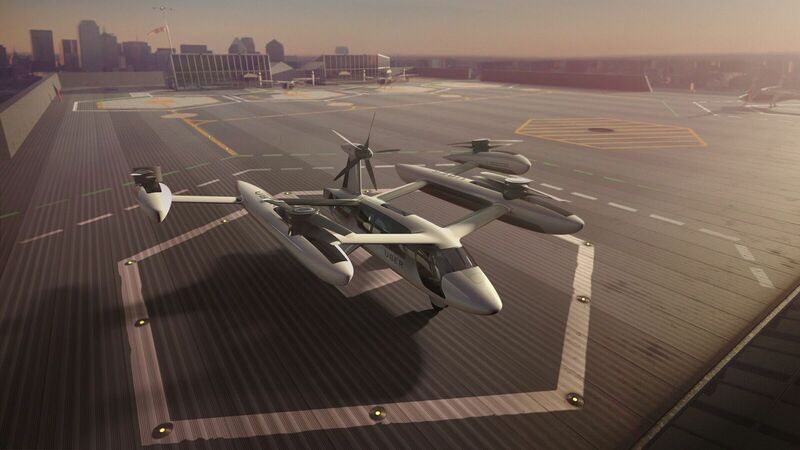 Uber is developing multiple common reference models to understand and evaluate a variety of vertical takeoff and landing concepts, and technologies. Sharing these models will allow for more cohesive technology development across the industry, and will serve as a virtual testbed for the integration of technologies that are rideshare friendly. Staff and students are also embarking on a series of other projects relating to the concept of urban air taxis. They are analysing transport, ergonomic, interior and propeller design, as well as the sound engineering and people’s attitude towards the vehicles. Much of this work is being carried out at the university’s National Transport Design Centre, using its state-of-the-art transport research facilities which opened at Coventry University’s Technology Park last year. Our daily commute is going to transform and we may be given the ultimate commuting choice to drive, ride or fly. These vehicles are not just the subject of science fiction films – they could be flying above our cities in the next decade. But there are many hurdles to overcome before that point. Safety is paramount and we have to thoroughly understand the functional hazards that could result in a failure of these vehicles. We must reassure both commuters and aviation authorities that these are safe before we move commuting in our major cities to the skies. It is fantastic to have been recognised as a collaborating partner by such as forward-thinking and innovative company as Uber. We’re looking forward to continuing on this exciting journey with them. The closer we get to moving riders by way of eVTOL technologies, the more important it becomes to advance the state of the art for these aircraft. Our existing partners are experts in their respective fields, and it’s our job to equip them with the tools and resources needed to make urban aviation transit a reality. I’m incredibly proud of that Uber has embraced a collaborative approach towards advancing the Elevate ecosystem, and am even more proud to be working tightly with partners while also encouraging non-partners to adopt community friendly vehicles so that we can collectively make this technology a reality in the near future.